What’s this? Another Tetley review?! Yes, yes it is. I just couldn’t resist giving this one a try when I saw it at my local grocery store. 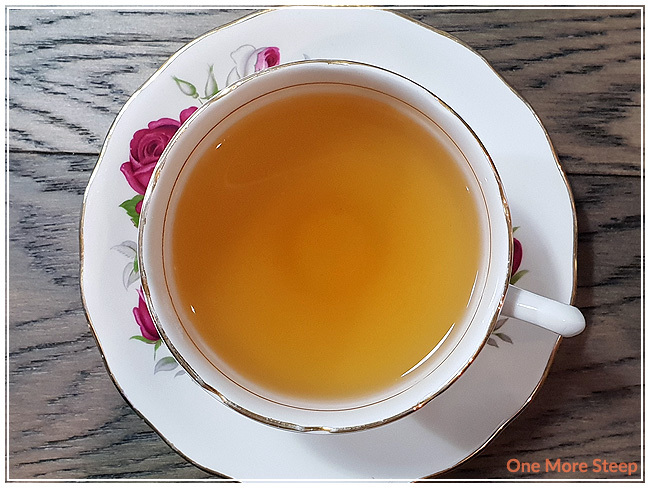 Honey and lemon is such a go-to flavour combination for me when I’m feeling under the weather, and the addition of ginseng was just very intriguing that I had to give it a go. As usual, Tetley’s round tea bags come in a cardboard carton with a snug-fitting plastic lid with that foil seal that pulls off. The aroma from the dry leaf of Green Tea Honey Lemon Ginseng is primarily that of the lemon and honey, I don’t really smell the ginseng (if I do, it’s not very noticeable). The dry leaf has a lot of small piece in it. Green Tea Honey Lemon Ginseng consists of: green tea, natural flavours, ginseng root, and honey. 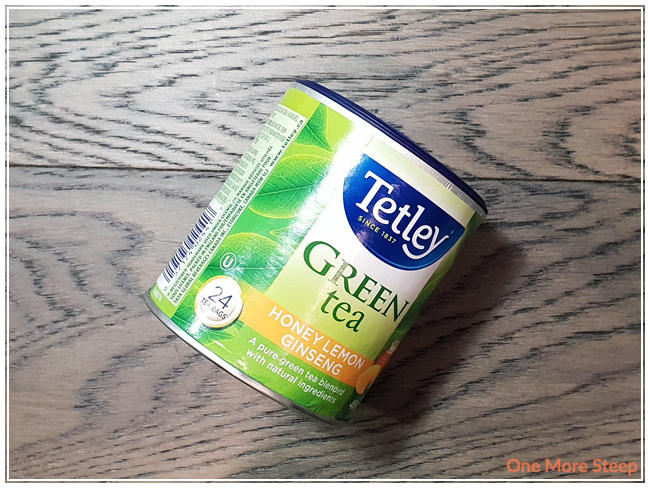 Tetley recommends steeping Green Tea Honey Lemon Ginseng in 80°C (175°F) water for 1 to 2 minutes and recommends having it clear (straight; no sugar or milk/cream). My initial steep of Green Tea Honey Lemon Ginseng was for 90 seconds. Green Tea Honey Lemon Ginseng steeps to a slightly cloudy orange colour. There’s a light honey lemon aroma that I can smell, although still no ginseng notes. On first taste, the thing that stood out to me was the fact that it’s not as sweet as I expected it to be. There’s a nice balance of honey and lemon flavours, with a light amount of vegetal flavour from the green tea base. I still don’t really taste any ginseng. I’ve said it before in a previous review that also had honey and lemon notes, but the flavour combination always makes me feel like I should be sick in order to drink it. I attempted to resteep Green Tea Honey Lemon Ginseng and I found the flavour to be just not quite right. There wasn’t enough honey or lemon in it. 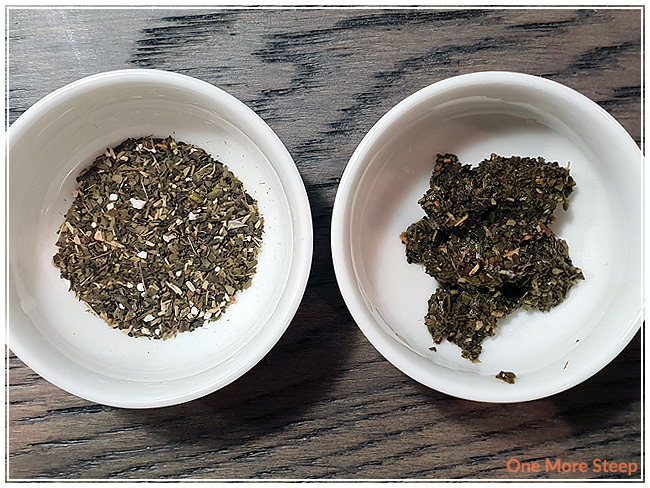 I mostly tasted the green tea base – with the light vegetal flavours – and a small amount of ginseng (perhaps the lemon and one flavours were overpowering it?). I thought that Tetley’s Green Tea Honey Lemon Ginseng was just okay. 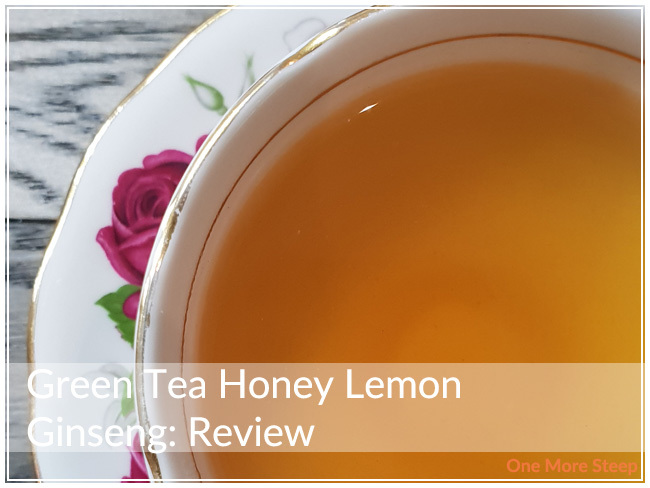 I think it would have scored this tea little bit higher if the ginseng was more pronounced in the initial steep – which is also the steep where I could taste the honey and lemon. I really enjoy the honey lemon flavour combination, but it’s always one that makes me feel like I should be ill in order to be drinking it. That said, I think it’d be a great ‘sick time’ tea to have in a tea stash because you never know when a sore throat is going to hit you and you need a little something to help you out. 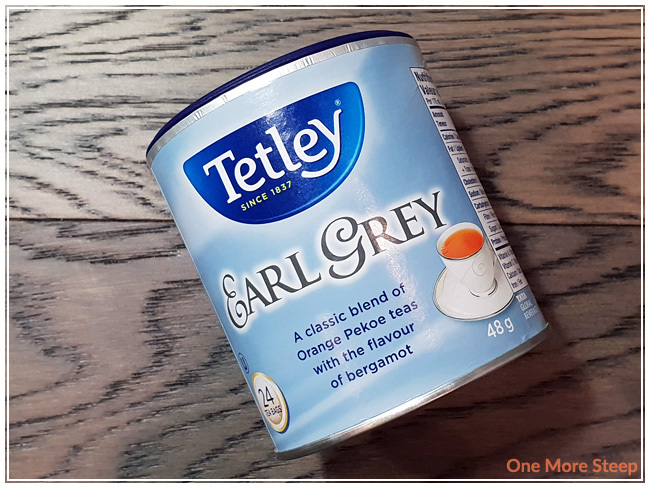 Taking on Tetley’s Earl Grey was a bit of a challenge for me. 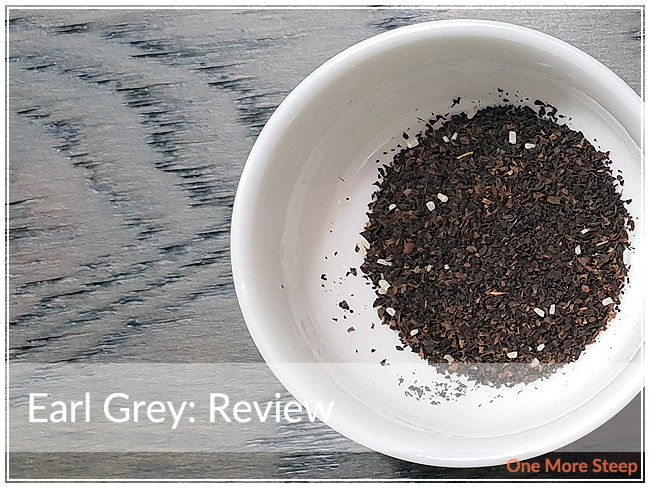 Not because I find it difficult to review Earl Grey teas, or teas in general, but because I know that it’s quite beloved by a lot of people (including a lot of my coworkers). 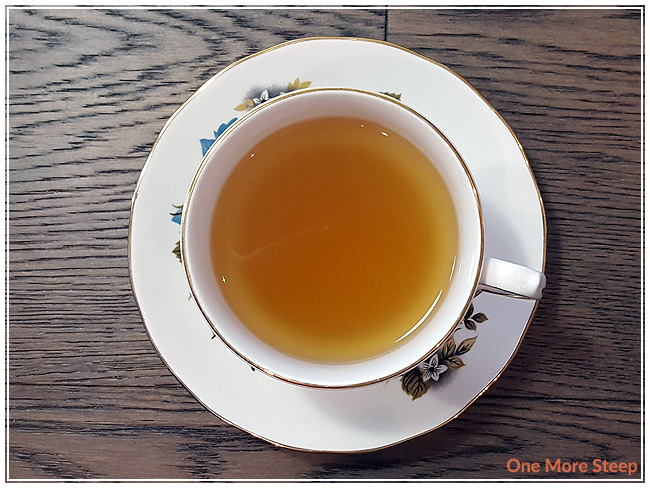 It’s a classic tea and it’s a readily available classic tea, which makes it all the more popular. 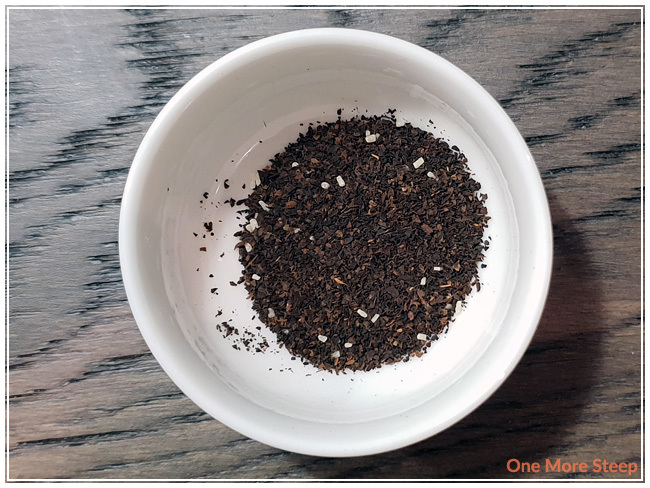 Earl Grey comes in a familiar canister, with a plastic lid that fits snug into place and a foil seal that kept the tea bags from getting stale. Each tea bag is a familiar round bag with no tag. The dry leaf has a light bergamot aroma to it, I was hopeful for a little bit more. Earl Grey consists of black tea and natural flavour. The packaging mentions Orange Pekoe, but it’s not listed under the ingredients to specify the type of black tea. Tetley recommends steeping in boiling water (100°C/212°F) for 3 to 4 minutes, and suggests “serve clear or with milk and/or sugar”. My initial steep was for 4 minutes. 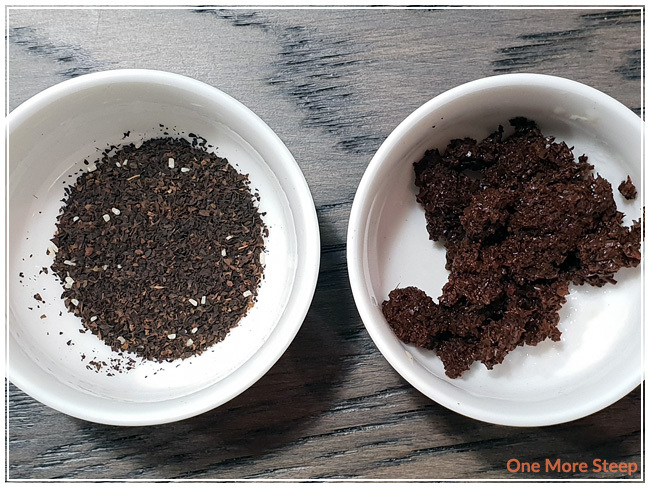 Earl Grey steps to a reddish brown. 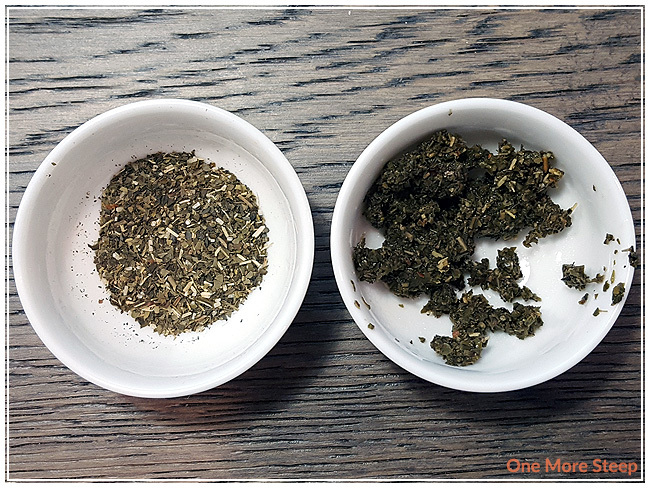 I found that the flavour to better than I expected considering how light the bergamot aroma was in the dry leaf. I can taste both the black tea base and the bergamot flavouring. Although I did steep it according to the recommendations, I found that there was a slight bitterness at the end of each steep. I did a second initial steep at 3 minutes and found that it was still present. I did add a touch of honey and evaporated milk to my cup, and found that it covered up the bitterness easily. My attempt to resteep Earl Grey was disappointing as the flavour of bergamot was missing. I would say that Earl Grey is good for just one steep. I thought that Tetley’s Earl Grey was just okay. 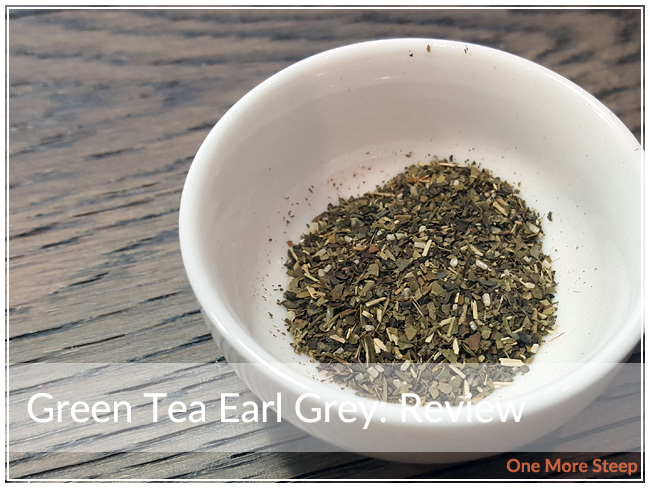 For the price, I was pleasantly surprised by the initial steep of Earl Grey (although I think for future attempts I’d do even shorter steeps). I found that this tea took very easily to being doctored, since the bergamot wasn’t overwhelming. I think it’d be a great candidate for milk tea if you’re looking for an easily accessible tea to use! Green Tea Earl Grey was another one of my Tetley purchases recently. I picked out this one because I love me some Earl Grey, so I had to give it a try. As usual. Tetley packages their teas in a carton tube with a plastic lid – there’s a foil seal for freshness over the sachets. If you’ve never had a Tetley tea before, the sachets are all round with no strings or tags. 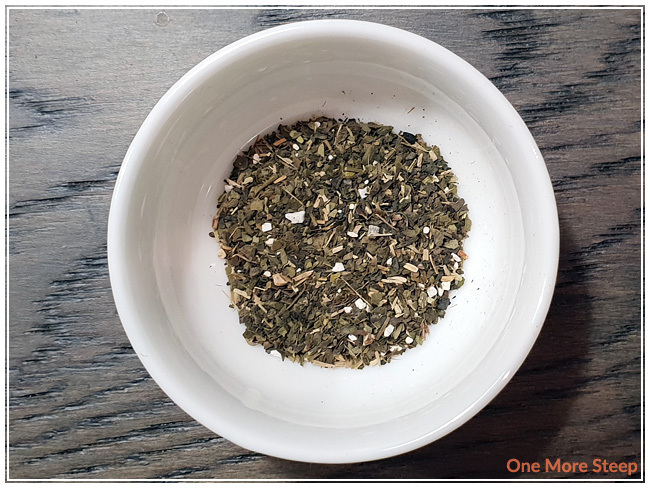 Green Tea Earl Grey has the aroma of bergamot with a slight green tea aroma. It’s not a very strong citrus aroma, not like I’m used to with most Earl Grey teas. There’s very fine/small tea particles inside of the tea bag with no large leaf pieces present. Green Tea Earl Grey consists of pure green tea with natural flavouring. Tetley recommends boiling water, allowing it to cool to 80°C (175°F), pour water over the tea bag, and to let it steep for 1-2 minutes. I steeped Green Tea Earl Grey in 175°F water for 90 seconds. 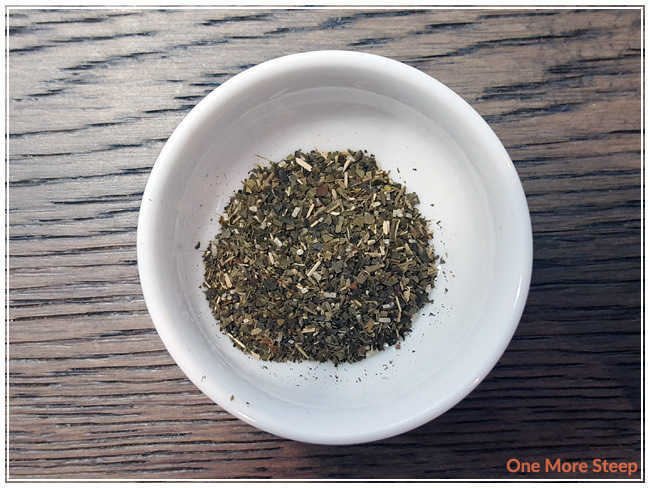 Green Tea Earl Grey steeps to a yellow-brown, with a light bergamot aroma. I don’t really smell the green tea base in the aroma. The flavour of the tea has a light bergamot flavour, with a slight bitter aftertaste to the green tea base. I don’t really get an Earl Grey-vibe from this tea, mostly because I’m far more used to it being a black tea base for a traditional Earl Grey. I resteeped Green Tea Earl Grey, but found the flavour to be lacking in the resteep. I would keep Green Tea Earl Grey to just one steep. 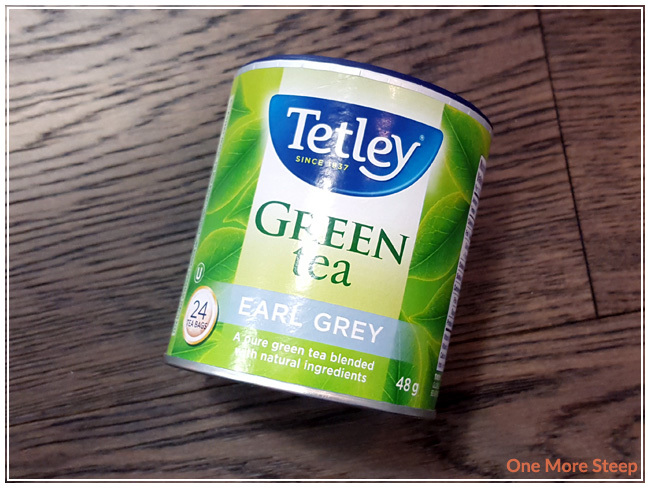 I didn’t like Tetley’s Green Tea Earl Grey. 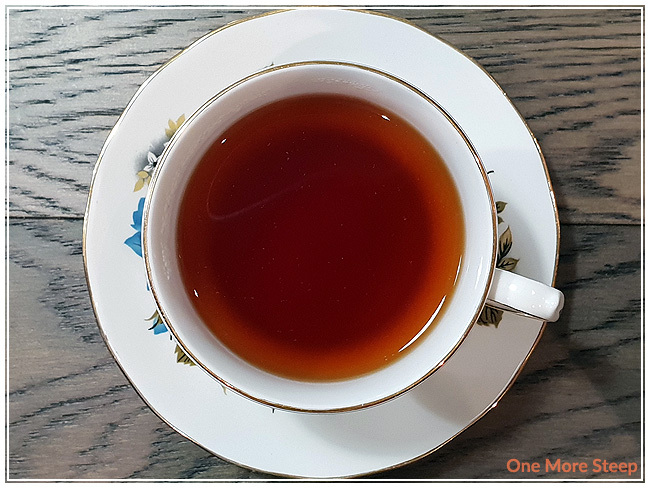 I love a good Earl Grey, but there was just something about the combination of bergamot with a green tea base in this blend that just wasn’t doing it for me. I’m much more of a fan of a bold Earl Grey (see: black tea), and the green tea in this one wasn’t just up to my taste or expectations. I do appreciate the attempt at a variation of Earl Grey, but I do think it is a classic for a reason.